If there was any recipe I’d want you to try as a family…this is the one! Lately I’ve been on a mission – in partnership with Seafood Nutrition – to get families to include seafood at least once a week. 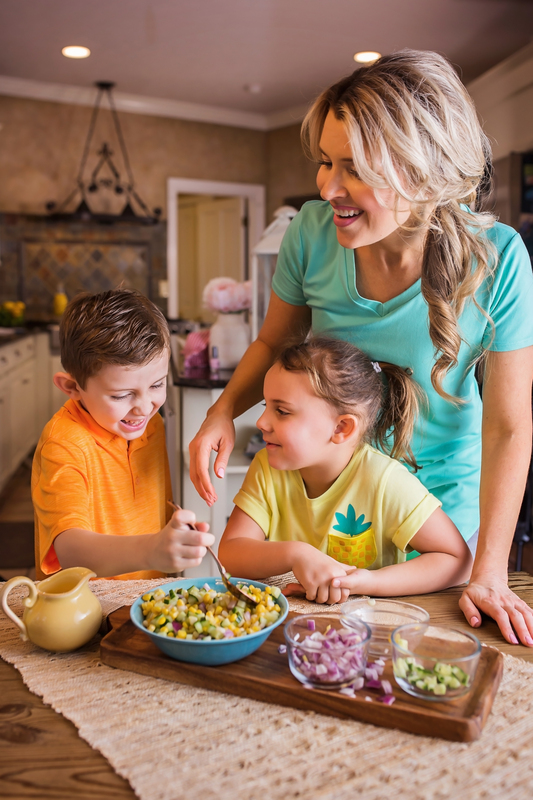 I know from my own personal experience as well as the studies done – that the younger we start our kids with wholesome habits, the more likely they will stick to them as adults. One parent gave me advice long ago (in regards to training my kids, not just getting them to eat fish:) “start out how you want to end”. I have never forgotten that, and it has been a guiding principle for me! So those things that are familiar and consistent happenings in childhood often continue to adulthood. In this case, including fish in your child’s meals may help them getting better grades, focus easier, sleep better, increase their immune system, decrease their chance of allergies, decrease the days they miss school, and boost their brain function. Cool, huh? 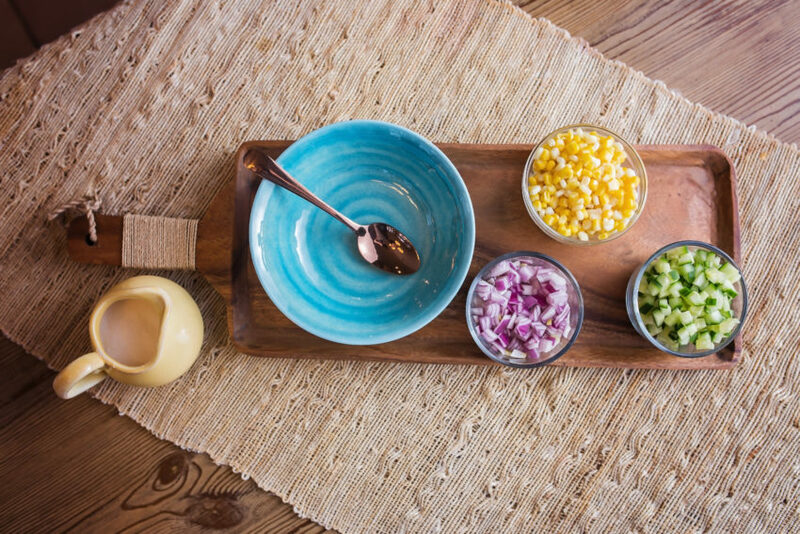 Now, get your kids to fall in love with seafood by topping it with something they already adore…like corn. 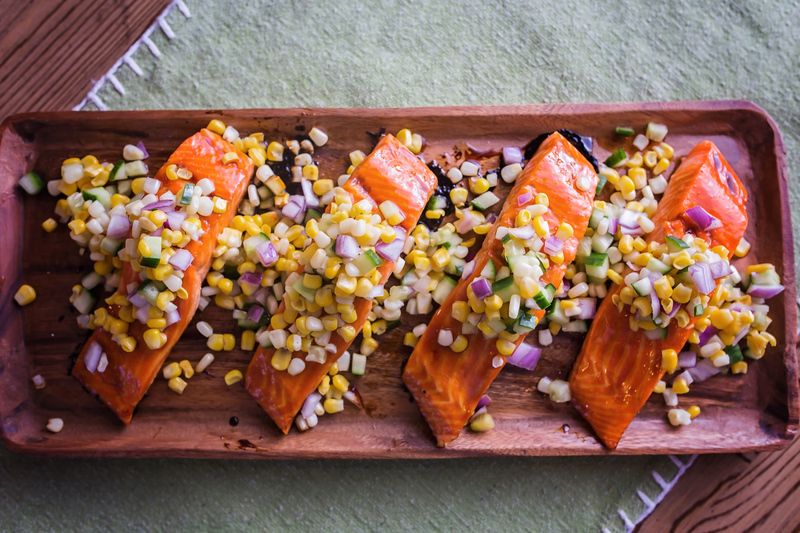 Maybe it’s mango, or pineapple, but we love an easy corn salsa on top of salmon. 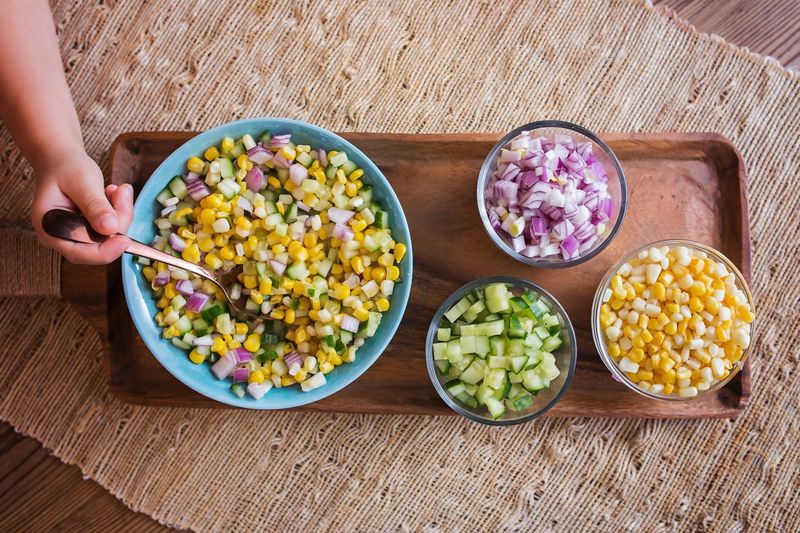 The corn can be frozen sweet corn, or cut fresh off the cob. OR, roasted on the cob and cut. Now THAT sounds delicious! There’s a 3-ingredient theme going on here. 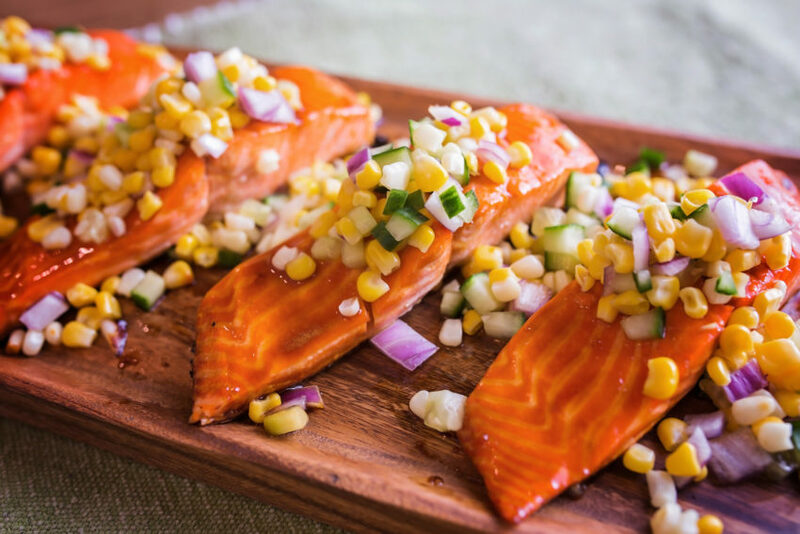 At this point, I get the kids involved… And you can expect it to get messy… But if you prefer clean and organized (your kids might not learn much about cooking…just sayin’)…then here is a pic for you: And take that yummy salsa, and top it on each Sweet Orange Salmon Filet… And enjoy! 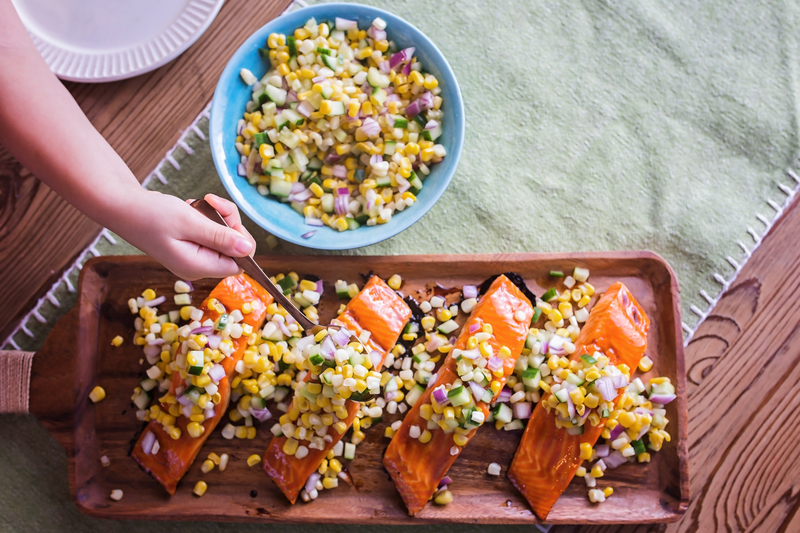 It’s colorful, flavorful, delicious, AND nutritious… Help me keep the mission of getting kids to fall in love with seafood going! 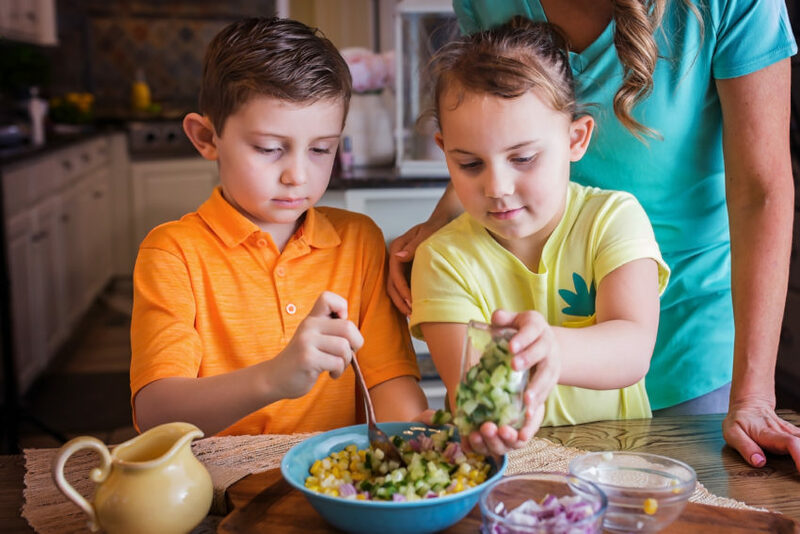 If you make this (or any seafood dish for your family), use the hashtag #littleseafoodies, and then tag my pages as well – Facebook, Instagram, and Twitter. 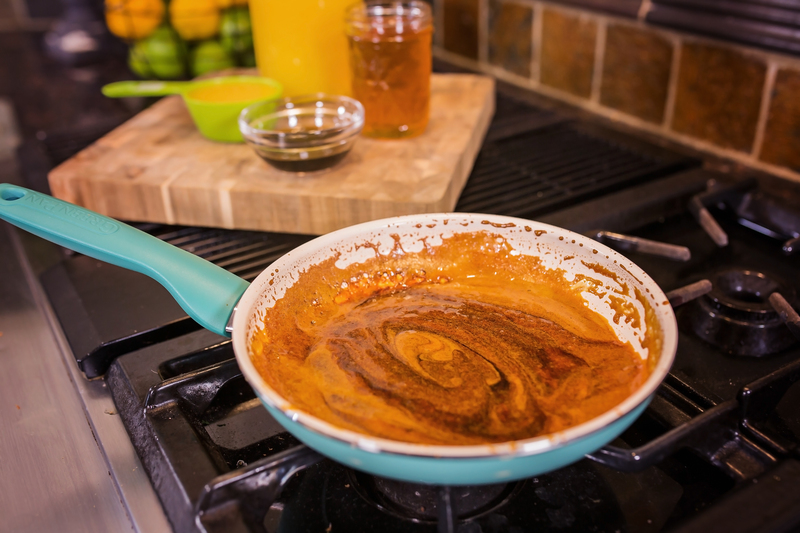 And join me on those pages for videos and tips to keep cooking easy seafood meals! 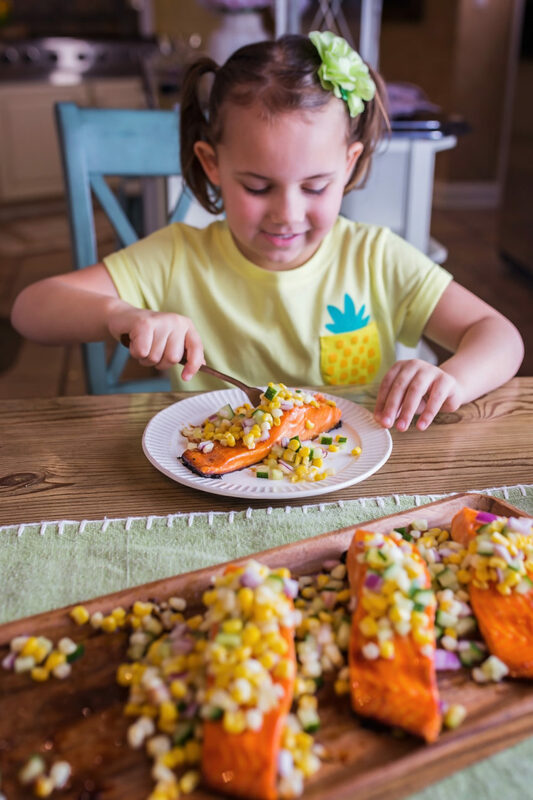 PS – thank you to my sweet niece Zoey who joined us for Sweet Orange Salmon and let me snap her picture a billion times! I love that girl. 2. 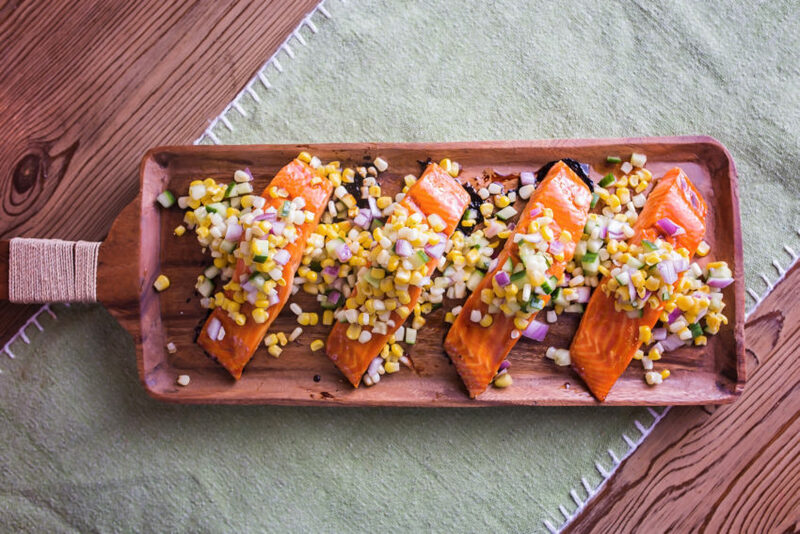 Lay salmon filets on a baking sheet covered in parchment paper. 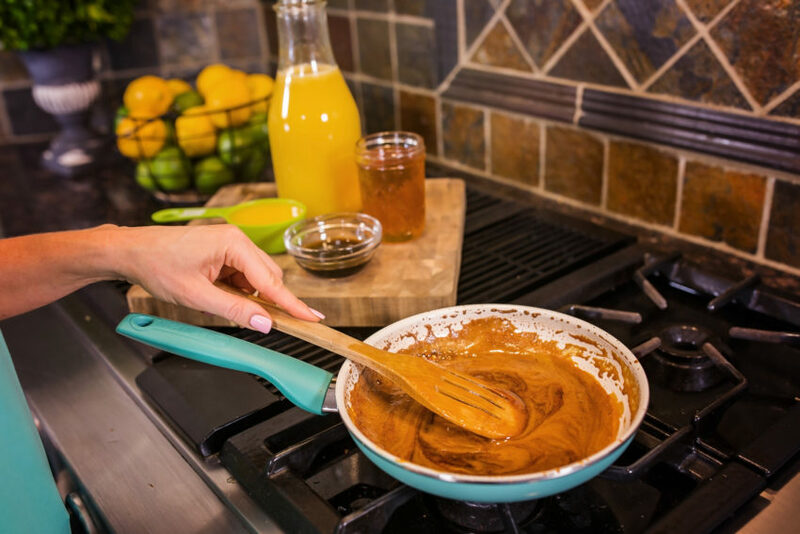 Brush each filet 3-4 times with the yummy orange glaze. 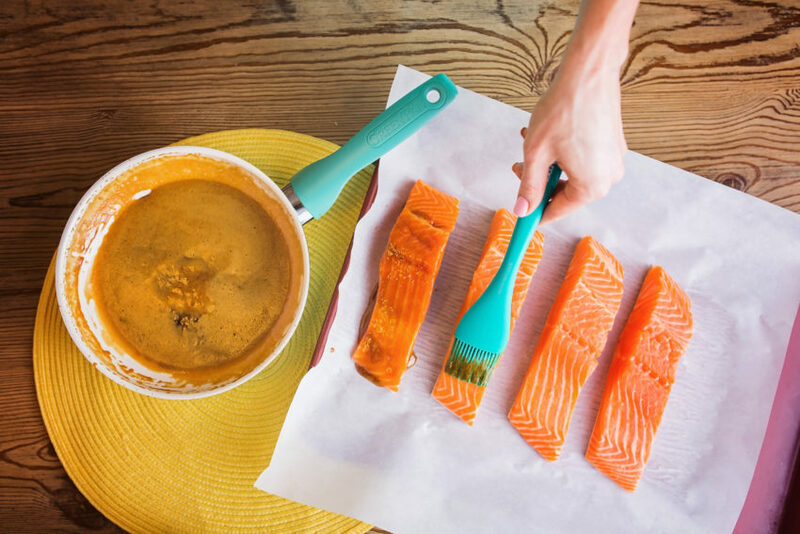 If you don’t have a brush, just drizzle the glaze with a spoon and then spread it across the top of each salmon. Bake for 7-9 minutes. If you want more glaze on it, brush it again one minute before it comes out of the oven.